Smoking was cool, an American U2 was shot down over Russia, and the car radio blared "Itsy-bitsy, teeny-weeny, yellow polka dot bikini." It sounds like an episode of Mad Men, but it was the cultural background when Frank Drake used the 85' radio telescope at Green Bank to conduct the first modern Search for Extraterrestrial Intelligence in 1960. Using a very simple receiver and no computers, he listened to each of two sun-like stars for 100 seconds. Call that unit 1 Ozma. Today's Dan Wertheimer's [email protected] project can perform the equivalent of a hundred trillion Ozmas per second. This project's pioneering use of distributed computing has assembled the personal computers of thousands of people worldwide into the third most powerful supercomputer on the planet. SETI may not have detected alien minds, but the attempt has driven the development of ever more sophisticated receivers and signal processing computers. Normal astronomy has benefited from these advances. In fact, according to Jill Tarter, lead researcher at the SETI Institute, exoplanet detection began a as project of the SETI Program at NASA -- before ignorant politicians forced NASA to cancel the whole SETI enterprise. Ironically, detecting planets around other stars is now one of astronomy's most productive cutting-edges and a major goal of NASA's space science research. But SETI has not fared as well. Since 1993 SETI has had almost no official support from NASA and has relied entirely on private money. NASA's ten-year decadal prospectuses of 1970, 1980, 1990, and 2000 continued to acknowledge the importance of SETI, even if it did not fund it directly. But in the latest Decadal report of 2010, SETI is not even mentioned. What has happened to make SETI the perennial poor relation of astronomy? Obviously the lack of a confirmed detection of an ET signal has not helped. If a detection were to be made, SETI could expect unlimited funds to monitor and decode the signals from the stars. But despite the technical advances SETI has fostered, few young scientists are willing to risk a career that might never produce a successful result. Certainly the scientists at the Ozma 50th anniversary workshop were largely a group of seniors. Most of these long-time SETI workers have accepted that it is rare to find a bright newcomer willing to do SETI as more than a part time activity. Prudence requires that they mostly do the conventional astronomy that leads to grants, jobs, and academic tenure. Even the SETI Institute's Allen Telescope will do conventional radio astronomy as well as SETI. And Paul Horowitz of Harvard University is continuing a Planetary Society sponsored optical search for laser flashes. Brief but powerful laser signals from alien planets could momentarily outshine their parent star. Frank Drake, 80 years old but still vigorous and articulate, described how the radar and TV signals that have been announcing Earth's presence since the 1950s have been drastically curtailed by the use of cable and direct satellite TV. Transmission towers that used to pump out signals megawatts in power now barely produce a few kilowatts. If this is a typical development in technological societies, then SETI may look in vain for signals leaking from other talkative worlds. Deliberate beacons will be the only messages leaving the stars. But according to Paul Horowitz, this may be a good thing. Radio interference from local sources has always been the bane of all radioastronomy, not just SETI. Quieting down the radio spectrum will make signals from Out There easier to detect and less noisy. What can we anticipate from the next 50 years of SETI? Assuming new scientists and funding can be found, we can expect continued improvement of detectors and the use of new strategies. Radiation shielding expert Bill Higgins described how the Ice Cube neutrino detector at the South Pole would place detectors in a cubic kilometer of ice, to shield them from everything except neutrinos. An advanced society that used neutrinos to carry their beacons might be possible to detect with this technology. The Moon's low gravity and lack to atmosphere would make a very large radio dish easier to build than on Earth -- provided you can find the required ores in the lunar crust. Put it on the Moon's far side and it will be entirely shielded from noise from Earth. All that is needed for SETI is the will and the money. We have people smart enough to design and build the required equipment. It would be so much easier if we could understand and predict the motives and methods of ETs. That might help us know where and when to look. But anthropologist Kathryn Denning of York University in Toronto reminded the group how hard it is to shed preconceptions about how aliens might think and behave, preconceptions based on our own notions of rational behavior. Trying to view ETs through any human prism -- are they malevolent or benevolent -- is very chauvinistic. They will probably not fit into any of our human codes of conduct and will in fact be, well, alien. The facile application of analogies from human history -- Columbus and the Indians, Captain Cook in Hawaii -- can produce very false conclusions. No analog from Humanity's history can prepare us for the character of the ultimate Other. And the detection might certainly come from some other quarter than humans actively doing SETI. Many of the most important discoveries in science have been made by serendipity, by researchers looking for something else than what they found. It is quite likely that the detection of an alien signal will be made by somebody looking for something else entirely. So it is important for all astronomers, not just the SETI community, to always be alert for something strange in their data. As Louis Pasteur said, "In the field of observation, chance favors the prepared mind." 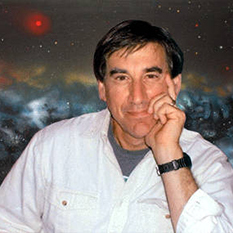 Planetary Society Advisor Jon Lomberg is an artist who has worked on many SETI-related projects, including the film of Carl Sagan's CONTACT and NASA's legendary Voyager Record.